9 White Deer continue to innovate, we have put together a system that allows you to enjoy draft beer at home with out the hassle of gas, coolers, taps and a bar. 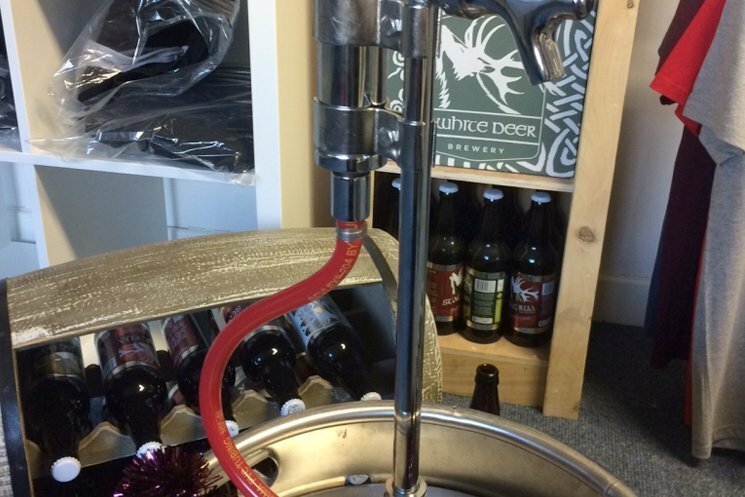 The 9 White Deer Keg Tap works by simply attaching to one of our kegs, either steel or disposable (when in stock) and pour beer, when the pressure in the keg fades just use the pump to restore the pressure. You don’t need electricity either, put the keg in a bath/drum/container with ice and a small bit of water. As the beer is consumed the space in the keg is replaced with air as you pump it in, this gives you 3 days or so to finish the keg, just like it used to be done with timber barrels. 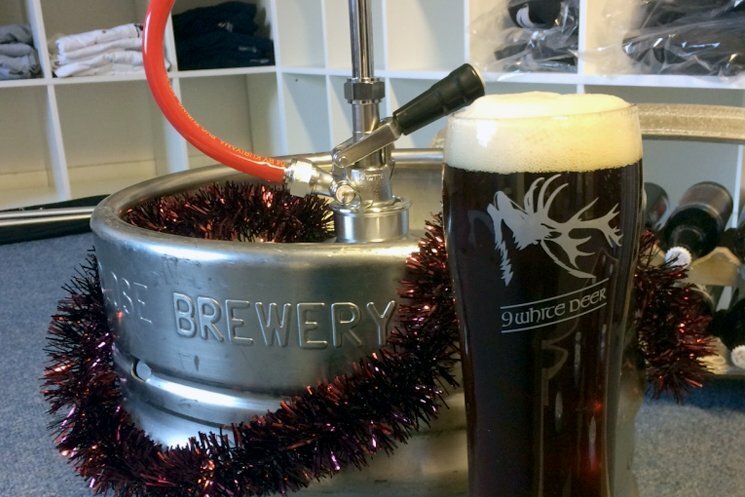 The 9 White Deer Keg Tap is yours to keep, when you return the keg we’ll even clean it for you so it’s ready to go for next time. We will be getting 20 ltr disposable kegs to use and all our beers will be available, currently we can offer 30 ltr Steel and some disposable. 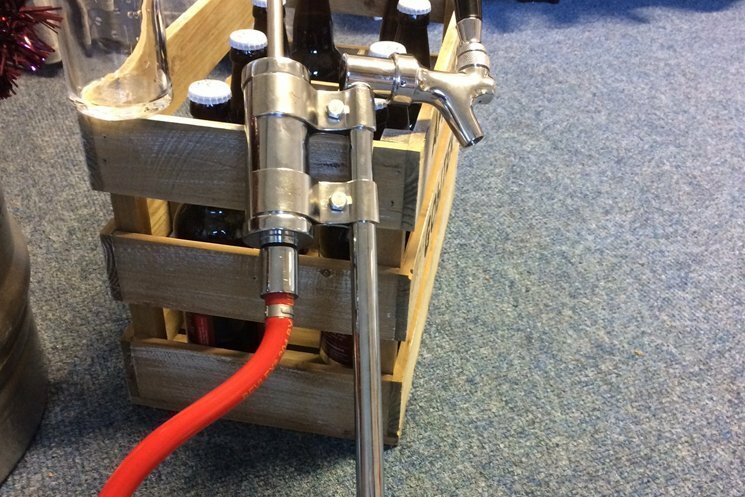 When you buy a keg of our beer we can offer you a 9 White Deer Keg Tap for €95, it’s heavy duty and stainless steel, these are a very limited number as we just wanted to see how it works out but I suspect we’ll be getting a lot more very soon given the interest. All prices include Vat, we cant ship currently as the weight is over 30kg so it’s collection only from the brewery, we are looking at alternative ways to ship. So if your having a party, give it something special with your own draft Irish Craft Beer without the hassle. Contact us at info@9whitedeer to enquire or order.